Hi I will take photos of foot rests tonight and try to explain what I did. 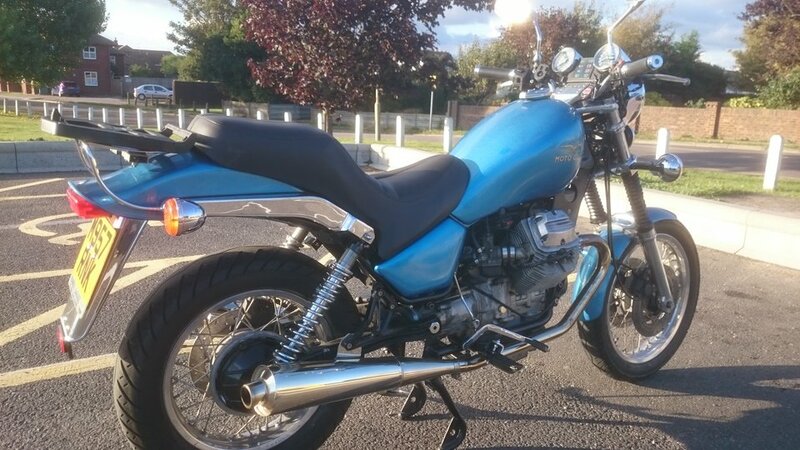 My Nevada is a 750cc 1994 model. Did not like the wide footrests. 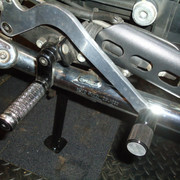 Fitted rear footrests including bracket to front bracket with long bolt going through both brackets and foot peg. Made angle piece to stop bracket twisting and left in rear fixing footrest bolt so as to not lose it. This put new foot peg about one inch lower and one inch further back, not a lot but made it more comfortable for me. lowered brake and gear change pedals. 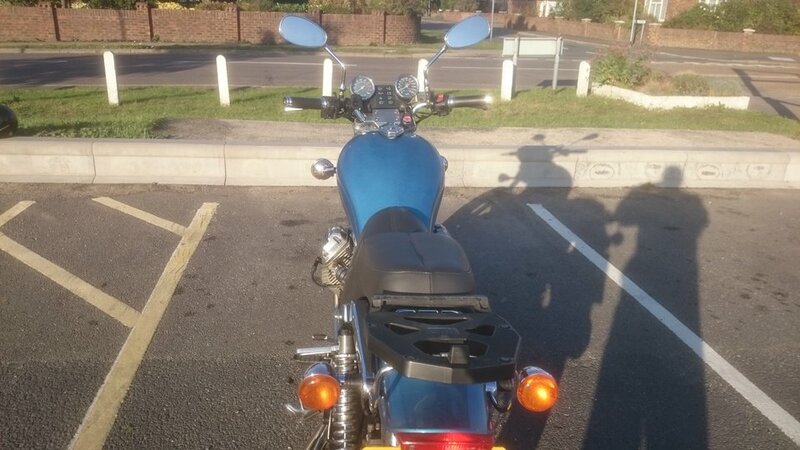 Fitted cheap pillion foot rests £10 on eBay. Can all be changed back to standard anytime. You know, thats bloody brilliant!! I think I may give that a go over winter, although I may use something with a hole in it, like a fat metal ferrule to go back into the space the footrest came from and the bolt could pass through. I don't lack the skill but I do lack the time and effort. Which is why I opted for the Knight Design. I don't know if you can see the 2-in drop well. They do ones with deeper and shallower drops but not with the rubber foot that matches the original. Of course this requires dropping the pedals which is another issue. I got these off the big shopping site and they did the job for me on my V7 Stone. Been on about 10,000 miles now and no problems. 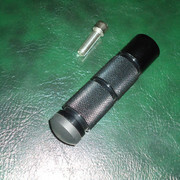 Described as Aprilia Mana 850 parts made by MC Motorparts for the riser/dropper and described as Universal CNC billet footpegs, can't remember seller's name. About £50 the lot and worth every penny for my comfort! The riser/dropper rotates giving 360 degrees of 40mm throw so quite a range of adjustment, The brake pedal peg was cut down from the black piece shown. I made it to give me a bigger area to find in a panic. You cannot see the other side of my V7ii but I fitted one of these to the brake as I reckon italians must have tiny toes and I need a brake lever I can get more than my big toe onto. That required me to fabricate an adjuster for the rear brake lever; after a couple of false-starts it's now a hefty steel bracket some 5mm thick with an M5 adjustment screw and lock nut. Photos of Nevada with new handlebars. Might not win a beauty contest but bike is now a delight to ride. Should even start using sides of tyres now. That's a lovely looking bike now. Something I've been told is that high bars cause back ache. Also that the ends of the bars should not be higher than inboard, "donkey ears", as this twists the arms and rotates the shoulders, causing back ache again. I try to fit the bars with the grips horizontal or the ends slightly lowered. Fitting is very personalised so what ever suits you is best. 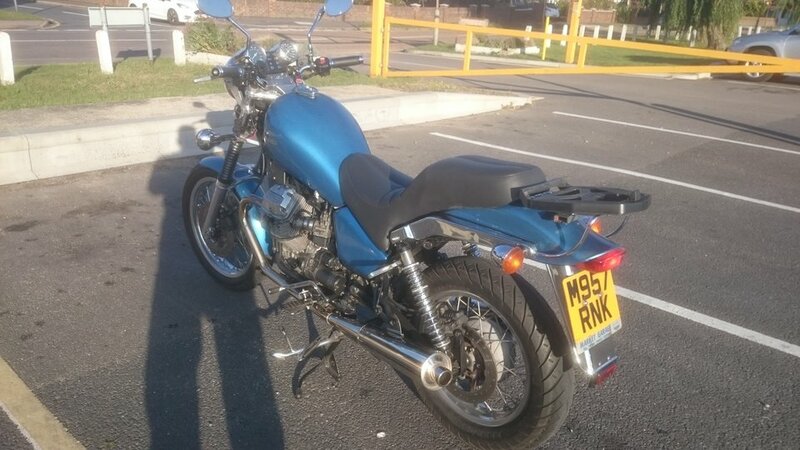 "That's a lovely looking bike now. Fitting is very personalised so what ever suits you is best."